Product information "Block Stripe Grenadine / Garza Fina Linen / Silk Tie - Brown / Sky"
Stripes really enhance the appeal of a grenadine tie, elevating the textural richness of the tie. Something that true connoisseurs will appreciate. 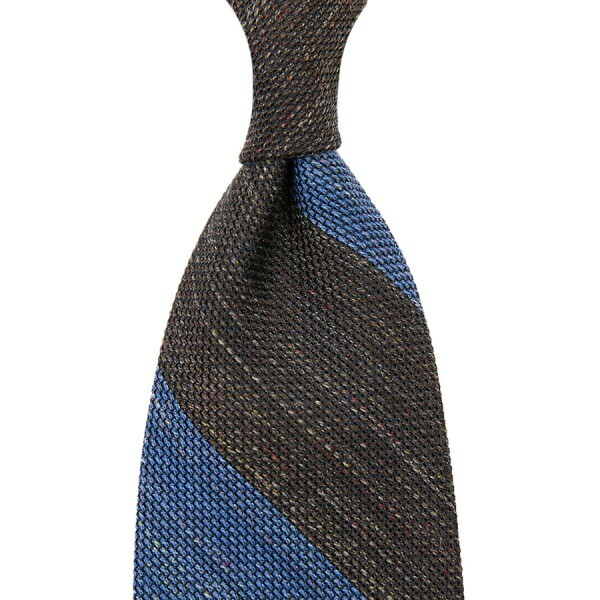 Goes well with our university stripe shirt, champagne floral pocket square, and navy elastic braces with clips. Related links to "Block Stripe Grenadine / Garza Fina Linen / Silk Tie - Brown / Sky"